- Automated claimers will receive their tokens paid out in the typical batches this week "
We've processed another batch of reclaims today: https://thetangle.org/bundle/BRLMFSBBZU9GFCHLAKKEGAEPTOQJBIRVX9OLVJKYWRCKVTOH9BBURIYUTKRGFXUST9CYOBCUCGGJKFQJC. These are reclaims that were not affected by the KYC process. For those that were part of the KYC process, you will receive an email during the coming days requesting an address to send the payments to. We will provide you with instructions on how to securely generate your address and seed, so that we don't have the same mistakes happen again"
Here to give you a quick update on the reclaim process. We've so far received more than a 50 successful identifications on https://kyc.iota.org/, and are now starting the process of verifying these identities with the token claims. Considering the complexity and the more thorough verification required for this, we expect to send out the tokens within 2 weeks. For everyone that emailed us at contact@iota.org / reclaims@iota.org please keep in mind that we have more than 130 unanswered tickets right now, and are doing our best to process them as fast as possible. Expect around 7 - 10 days response time right now." "Also, for the people having issues with IDnow in specific countries, IF is aware of this and looking into the situation. I'm sorry I can't offer anything more concrete at the time, but I'm glad you're all making sure I am sticking on the case. I will be sure to follow up here as soon as I have more info to share on any of the issues you've all raised." "I took ownership for the KYC process on board-level. We are finalizing the legal side until the end of next week and will have an update out before the end of April. We will then finally start KYC in the first week of May, leveraging a partner who does BaFin compliant video identification. There unfortunately is no other way." "About Reclaims: we're currently finalizing a website that fully automates the process of KYC'ing all the claimants. We will hopefully be able to kick it off by next week"
User @trx314 has received a response from the IOTA team regarding a KYC reclaim email. For more details, see the post on page 70 of this thread. It sounds like things are slowly moving along behind the scenes. This OP will remain updated with any official announcements from the IOTA Foundation. "Hello everyone, I wanted to give you all a general update on the Reclaims: We've been working on getting the second batch validated (over 500 claims this time), and will start sending it out in batches later tonight, with full completion most likely by Friday. We're still working on setting up a (cost-efficient) KYC process and are making good progress there. We'll be providing an update on this early next week to those that were affected. Considering the sensitivity of this subject, I appreciate patience as we want to make sure that everything is done right and properly documented. We've also been in active dialogue with the police (mostly in Germany) about the seed generator scam, and will continue to provide further assistance to them and the community to hopefully successfully close the case." Also an update on the Reclaims: We're currently spending time with our legal experts to come up with a full strategy on giving back the reclaims with a properly approved KYC process. We'll be providing updates on this soon." "For those who are part of the reclaim process, and have reclaimed twice to the same address, please *do not send funds from your address already!*. We are unable to send you your other claims (for obvious reasons). Keep that in mind. (This address is an example: https://thetangle.org/address/YUTRIPWLUKLEY9LMAJZFLUVWQIDNELCVDRTPFMEBNRHZHEPZYLRYPWFXMKPJHOPIVYGMHGWYXAR9FCWLB)"
"we've just finished all the preparations yesterday, and are beginning to reach out to people (KYC) and we're investigating a few different issues. The first payment will *definitely* go out today." "Claims and Reclaims will be processed by the end of this week (starting with today). A blog post will soon with further details on how this will work, especially for the ones with multiple claims (which may or may not be scammers / hackers trying to steal funds. We have taken some legal counter-measures for those claims to protect the users)." "we will absolutely give a very positive update this week. Like I said before, we're right now wrapping things up on our end and will then post something in #announcements. So watch that channel"
the spam attack on IOTA + fixing the network issue took more than 3 weeks of our time." We will be providing an update on the reclaims issue ASAP - now that the network is in a more healthy state, we should be able to send back the reclaims as soon as our verification tools are completed." Absolutely sorry to everyone that is involved in this process, as it's been taking longer than expected on our side to finish up the tool for all the claimants to go through. As the claims have been decreasing over the last few days and the majority have so far send their claims through, we will be issuing these payments as part of an upcoming snapshot (next week). 'In the case that you made multiple reclaims on your old seed, it's the first valid proof/reveal that is accepted. This thread will be updated with live updates as they come. This is not the official status, seeing as how I'm just some random guy, but official announcements from the team will be posted here as soon as they're available. If you have finished both phases of the reclaim process (for detailed instructions, see the pinned thread in the Help forum), you'll need to wait for the IOTA Foundation to process your reclaim before you're able to see your balance in the wallet again. This is frustrating for a lot of people, but we're left with no other choice but to wait. Feel free to post questions and concerns here. This community is happy to help with any problems. I'd appreciate if someone can explain in a non-technicially way how the foundation was able to move around the tokens - I read it has something to do with the snapshot.txt, they can change it like they want and if the nodes validate it, noone can do something anymore? Probably I got that wrong Will it always be like that in the future? @Bisonindatent This is a good question that comes up pretty frequently. Thank you Winston for the update! Do you have any approx. on how much IOTA there is in the "list 1" claim? Status: The IOTA Foundation has not started processing reclaims yet. does this mean we will see ' Reveal transaction is pending" until then??? 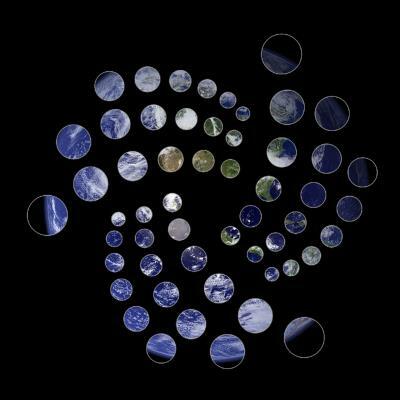 @tschoartschi Everyone seems to be hoping that the IOTA Foundation begins the reclaim process by the end of this month. But there haven't been any announcements from the team, so there's nothing official yet. is there a short explanation of the whole issue any where? did you really mean amazon would be amazon if it would make the same s... like you? sorry but this look like give me your money and shut up!!! someone invest a lot of money and don't have the access to it?!? is this your business plan? give a deadline or something like that but not nothing!!!!! btw maybe you know, based on what IOTA foundation will send back the X amount of iotas back? Based on the old seed (that previously IOTA was stored) ? do they have some history chart etc? thats how they confirm how much IOTA's should be transferred back? 1. They know which address the balance belongs to, since that's where they saved the balance from in the first place. 2. They have your old seed via the reclaim process. 3. If your old seed generates the address from which they saved a balance, this proves that you're the owner of that address. @Knoedl Nobody knows. All we know is what's posted in the original post of this thread. Everyone is in the same boat here.